127 Riverway Lane - Custom home on 1/2 acre in Riverwalk w/PRIVATE backyard. 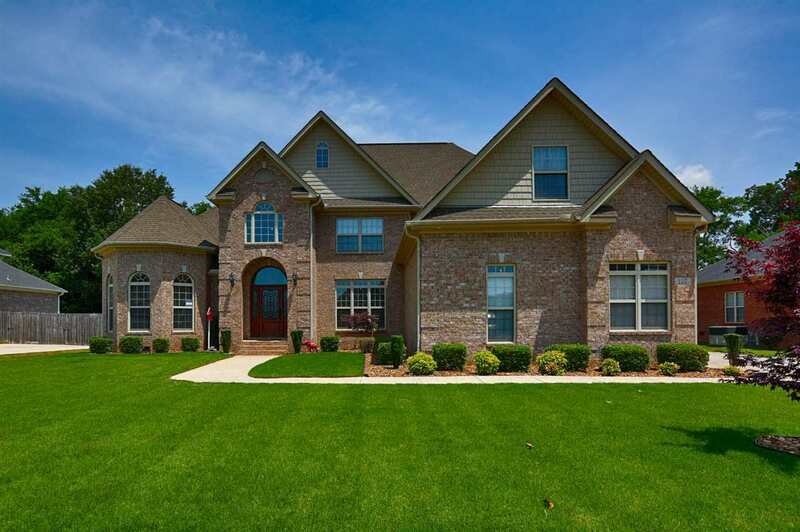 Mahogany Front Door opens to Grand Foyer, a Study with Bay Window, Formal Dining w/Dbl Crwn Molding+Uplight, Family has Vaulted Ceilings & Gas Fireplace. First Floor has all Hardwoods/Tile. Kitchen has NEW Granite, Frigidaire Professional Appliances, Barn Sink, Tile B'Splash & B'fastRm w/Trey Ceiling & Beauty Boxes opens to HearthRm w/Vaulted Ceiling & Fireplace. Laundry w/Utility Sink. Isolated Master w/Sitting Area & GlamBath w/WalkIn Shower, Jetted Tub & 2 WalkIn Closets. Secondary BedRms+FlexRm Upstairs. Covered back patio & Vinyl privacy fence. HOA: Pool+Cabana, Fishing pier, River&Lake access. Check out 3D Tour!